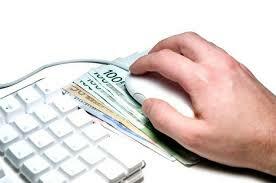 Online banking allows people the freedom to do their banking from the convenience of their homes. Users can check their account balances, transfer funds and make bill payments any time of day or night. However, many people shy away from this technology due to concerns about Internet security. Banks understand these concerns. Nearly all have instituted several security measures to protect their customers. In addition, there are many things that users can do to further protect themselves and their financial information. 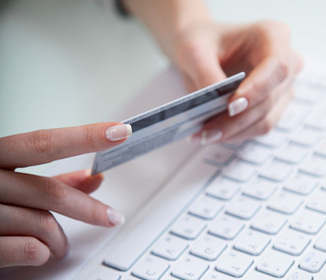 Online banking customers will be asked to create a user name when setting up their account. It is not a good idea to use your email address. Rather, users should select a name that is easy to remember and unique to their online banking account. It is vital that users create a password that is strong and secure. It should contain a combination of upper and lower case letters, numbers and special characters. Users are strongly advised against using easy-to-guess passwords such as names of pets or family members. Most online banking systems will require their users to select from a series of questions and provide answers to these questions. These can later be used to verify their identity when logging in. Users should avoid questions that are easy for hackers to guess or discover through simple Internet research. A person’s mother’s maiden name used to be the standard security question but now almost anyone with a computer can figure obtain this information easily. Answers to questions such as, “What was your high school’s mascot?” are equally easy to ascertain without much effort. Users should select questions that only they could possibly know. If the bank gives the option for users to write their own questions, they should use that opportunity. Security questions are extremely important. In the event that hackers obtain a user’s log-in credentials, access to the account may still be denied if they can’t provide answers to the security questions. Users may find it cumbersome to answer their security questions every time they log in. Most banks will allow them the option of stating whether they are on a private or public computer. If users state it is a private computer, the bank will identify their IP address as such. In subsequent log-ins from that computer, they will no longer be asked to answer the security question. Users may be tempted to indicate that their laptops are private computers; however, because a laptop can easily be lost or stolen, this is not a good idea. If possible, users should avoid connecting to their online banking accounts when using a public wireless connection. Sometimes, however, users find it necessary to do their banking while travelling and will use hotel or airport Wi-Fi to connect. The only way they can safely protect their information in these cases is to use the added security of a VPN. Hackers sometimes use phishing schemes to capture a user’s log-in credentials. They may send an official looking email saying something to the effect of, “it is imperative that you log into your online banking account immediately!” Users will then be provided with a link to their online banking account. The link will, however, direct them to a site that mimics the actual site. Users may then enter their credentials unaware that they are handing them over to a hacker. People should never follow links to their online banking. Rather, they should type the web address directly into their browser of they should select it from among their saved favorite places. Following these steps will allow people to remain safe online and prevent unintentional disclosure of personal information. Kyle Gattis believes the internet should be free and open. The USA VPN is the tool users can use to increase online freedom. Kyle strives to inform others about the tools available for avoiding restrictions on the web. This entry was posted in Internet Security on November 4, 2014 by Stephen Dinos. Antivirus apps on Android – Do you really need them? What Are You Looking For In An Antivirus? You might be thinking if it’s worth it buying an antivirus application for your smatphone or would it be a total waste of your money? In fact it depends on what you are looking for; it depends on what you are looking to get from an app like that. If you want an antivirus program because you are scared you are going to download an app that has a virus, a malware or whatever you want to call it, and you download all your applications from Google play store, then forget about it. You don’t really need one because Google catches most of the malicious apps before they get published into the Play Store. Even if a malicious program manages to pass they are going to catch it within a few hours or a couple of days the most, and when they pull it off the market it’s going to automatically be pulled off from your phone as well. So, even if you happened to be one of those unlucky people who downloaded it – by the way it is going to be a new one but new apps don’t usually rank high in the searches, so you would have to look at the New Apps section in the Play Store – one day you are going to wake up and it’s going to be off your phone. Google takes care of that for the most part but if you are one of those who also download programs from other sources – other than Google’s market – I would recommend you having an antivirus app because you are not going to have the same level of protection. You never know what the developers or whoever is making those apps, might have put there. But, honestly, from the whole malware and antivirus perspective I don’t realy care that much. I don’t have antivirus in my phone for that reason. But what these programs offer you goes beyond plain anti-malware protection. Mobile Security applications give you the ability to track your phone if you lose it or if it gets stolen (when I say track, I mean GPS location). Also, you can send to your phone secret text messages with your password that you set up when you first installed the app. Using this feature, you can remotely lock your phone’s screen and prevent somebody from getting into it. If somebody switches the SIM card it will allert you right away. You can do a whole batch of things. For example I use the antivirus app by Norton. This app helps you quickly find and protect your devices when they go missing. You can set up for screen alarm to see if your tablet if phone is just hiding somewhere nearby. If that doesn’t work you can quickly pinpoint the location of your mobile device on a map and then remotely lock it so people can’t use or see what’s on it. Wipe it clean if you think that it’s been stolen and even use the built in camera to snap sneak photos of whoever is using it. Norton mobile security also keeps your mobile world safe from online threats and annoying intrusions. This includes checking apps and updates for all kinds of threats without slowing down performance. You can even backup all your contacts from android, iphone and ipad, so you can get them back quickly if they get lost or deleted, or shared them across different devices. Finally, this app lets you control this protection on all your different devices from one convenient place on the web. So, check out Norton Internet Security Coupon to buy this multi-device, multi-featured app in discount as well. As you see, this is a complete solution which can be installed in many different mobile devices and get your files backed up, shared and protected from any threat you can imagine. This entry was posted in Internet Security on March 27, 2014 by Stephen Dinos. Symantec has created lots of security oriented software, starting from the Norton Antivirus to Internet Security and later to the Norton 360 and Norton 360 Premier. Recently the company introduced the Norton 360 Multi-Device, responding to the developing need of the users who now want to protect more devices than just one computer. For a complete review and specifications click here. If I asked you how many computers, tablets and phones you own you would probably come up with more than 3; your desktop PC, a laptop, maybe a tablet and of course your smartphone. If we added the rest of your family’s devices or your work computer then the number gets really big. People now carry lots of devices which share one thing in common: that they are almost constantly online and therefore ought to be protected. Protection means more than just antivirus. It means protecting the files and folders, contacts and information that you have on these devices so that in case of a malfunction or files get corrupted you can get those restored. You want to be able to find these mobile devices cause we often get misplaced, lost or stolen and you want to know where they are and be able to get them back. So that’s the kind of protection that Norton 360 Multi Device brings to all of these types of devices. It’s a simple straight forward solution that protects in our new world of multiple devices. 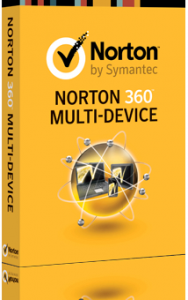 We start out from Norton 360 Premier which is the Symantec’s best security solution for PCs. It includes 25Gb of online storage space. Not only do you get that great protection from Norton, but you get Tune-up capabilities and keep that PC running smoothly and the 25Gigs of online backup space which is synced with your hard disk’s files whenever there’s a change, so that if you ever have a problem with your device you get that data back from the cloud. The next thing that’s included in the software is the Norton Internet Security for Mac. Not only does this protection get viruses but Mac users need protection when they go out and shop or buy online. Finally, we have security for mobile devices; whether it is Android, Apple products like iPhone or iPad, you want to make sure that if you had a problem with them – maybe they get misplaced – you could get those back, and norton internet security does all that. So, instead of looking for and buying different software to install and protect all your different devices, you can buy one solution. You get 5 licenses which you can mix and match with any of those devices and you get a great way to manage that with Norton’s web consult. You can go out on that web, see the device’s status, what kind of protection is on them. If you decided to upgrade from Mac to a PC you can just disable the protection on the Mac, transfer it onto the PC and you are all set, up and running. 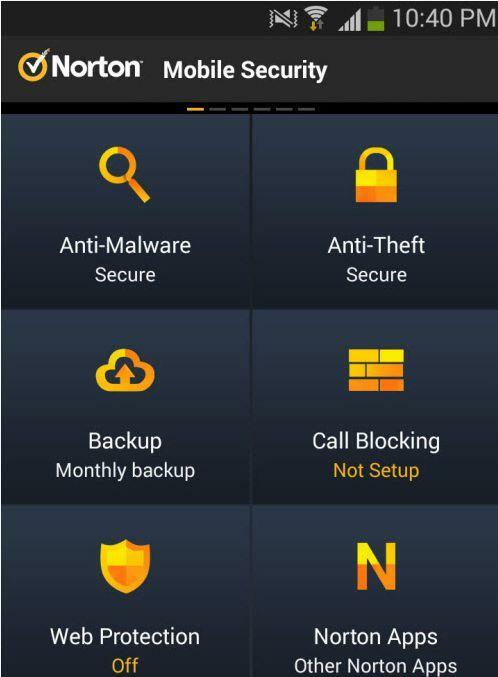 At the same time Norton brings all the latest protection, not just empty virus definitions but all new features and functionality and a whole new product if needed as part of your subscription. 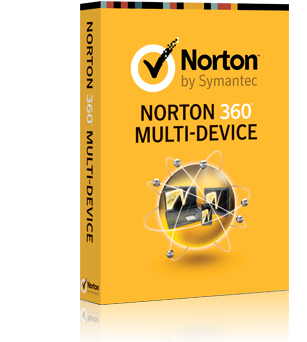 Symantec also has issued a coupon for Norton 360 which brings a discount of 20% on your subscription. If there are several smartphones in your family, e.g. an iPhone, Android or Symbian, a tablet, perhaps a couple of laptops and desktops, you can solve the internet security and backup issues once and for all with just one purchase. The price is just $69.99 for a year or $134.99 for two. This entry was posted in Internet Security on March 13, 2014 by Stephen Dinos. 1. Computer protection: This comes with the insight protection which measures the reputation of your applications when you run a scan and it is powered by Norton Community Watch. Then you’ll see the Antivirus, Antispyware and S.O.N.A.R. Protection features. The SONAR is Symantec Online Network for Advanced Response, which proactively detects unknown security risks in real time on your computer based on the behavior of the applications you are running. 2. Network protection: Here you got the Smart Fire Wall, the Intrusion Pevention, which automatically block internet attacks, aimed at taking advantage of vulnerable programs. Detects and prevents attacks from threats already in an infected computer. Here’s also the Emai protection feature which examines emails for threats which get blocked and removed when found. 3. Web Protection: In that part of Internet Security you will see the Identity Safe feature, which secures your identity while you are online; it includes a password manager for one-click secure log-on and form auto-fill for frequently visited web sites. Then, there’s a separate module, called Browser protection, which prevents malware programs and malicious web sites from using browser’s vulnerabilities to attack your computer. The Safe Surfing feature detects and alerts on fraudulent web sites and provides site safety information in internet search results. This sections finally includes the Download Intelligence module which provides information about the safety and reputation of downloads to protect against malware; it helps you weather your downloads are safe to install. So, as one can see, Norton Internet security suite is a well equipped suite as it has many components working altogether for a completely safe navigation and protect from all today’s threats. Symantec has been offering special discount codes for its products. Whereas seasonal for some products or permanent deals, like the Norton security coupon users can save up to 40%. This entry was posted in Internet Security on February 12, 2014 by Stephen Dinos. Norton 360 is an all-in-one internet security software manufactured by Symantec. The company started in 1989 with its first antivirus product for Mac and gradually conquered the american market. Now it has expanded to cover more needs for home and business use. In the past a lot of people have been using the Norton products, the antivirus and the internet security, but now Norton 360 has been established which is the next evolution in security. The norton 360 is the more complete product combing antivirus, anti malware and anti phishing protection, with computer registry cleaning, maintenance and online data backup (2GB). It basically combines all the great Symantec products into 1 security suite. The Norton 360 Premier has all the above plus it gives 20GBs of storage. Now, if you own many devices e.g. a desktop PC, one or two smartphones, a laptop and a tablet and you want to protect them all, you might want to look at the Norton 360 Multi Device. Pricing – Does Norton Offer Coupons? The software costs $49.99 for 1 year and 3 PCs or $114.99 for 2 years. If you use the Norton 360 Coupon Code you can have 20% discount. 2. Transaction Security. This is another feature people need to be aware of cause it’s going to protect the user from phishing attacks that we often see out there, where you think that your bank is sending you an email and you click on it and it turns out that it wasn’t the bank that sent you that email. Norton 360 Transaction Security makes sure that the sites that you think you are on are not known fraudulent sites and it encrypts your personal private information as it goes across – perhaps your shopping, your online banking, whatever other transaction you might do – and it makes sure that it is not going anywhere it shouldn’t. 3. Backup: You can configure and say which files or folders to upload at your online space. If your computer crashes, if you accidentally delete some files or if your laptop gets stolen, you can download all the files you had uploaded. Of course, the syncing feature changes your files on the cloud up to your last save. Now, should you need more space from the 2GBs you can update your software to the Premier version. After the first backup the software sees only the new information so it’s not going to slow down your PC at all. There’s even a feature in there you may want your backup to happen in 1 in the morning when your PC is not being used, but you may want to get up that time and use your computer; as soon as you start using it while it’s in the middle of the backup, the process pauses in order not to steal the resources and slow down its performance. 4. Computer Tuneup. This feature scans your PC for errors and cleans the registry to optimize its performance. The program makes sure that your PC is healthy, that it doesn’t have a lot of garbage and useless files in and it’s going to clean it up. In essence, Norton 360 is encompassing all the things that you need to be secure online, to work on a fast PC, to have all your important files backed up and synced. It’s a great piece of software because it’s a “set it and forget it” product. It’s designed for those people that are really busy, they navigate and interact online and even buying things from the internet but they are not security experts. Norton 360 is really simple to install and it’s going to do all the work for you. This posts will direct you through the process of downloading and installing the Norton products which are registered to your account. First of all go to account.norton.com from the computer you want to install the norton software into. Click the Sign In button and type your norton account email and password. This was the email you used when you bought and registered your product. Once you are logged in you will be seeing all the Norton products which are registered to your account. Find the current product with the correct product name and expiration date and click the Download button to the right as shown in the image above. Then click on Download on the next page and follow the instructions shown in the pop up box. Once you click the Run button the download process starts. After the download is complete the installation step sets in automatically and takes less than a minute, after which the product is ready to work. Now, click the Explore button to check out the internet security software. All the different components and features of Norton 360 will start working. You can now setup the Online backup feature by browsing through your hard drives and selecting those folders and particular files you want saved online. This way you are going to have remote access to those files and of course be able to download them back to your computer should any technical mishap (hard disk crash, pc gets stolen, accidental deletion) takes place. All files are synchronized to the last save. If you have any problem accessing your norton account visit norton.com/nahelp. 2. The Norton 360 MultiDevice which is a big bundle consisting of the Norton Internet Security for Mac®m, the Norton 360 Premier Edition I talked about above and the Norton Mobile Security which as the name indicates applies to smartphones. 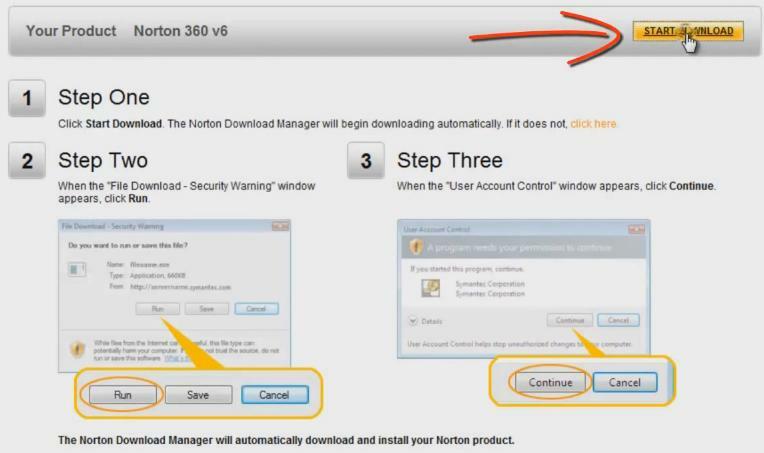 Here’s how to download and install a Norton product registered to your account.